Nico Pitney, who is the new political director. He joins from The Huffington Post, where he was executive editor. Andy Carvin, the new senior editor at large. He previously was an editor at First Look Media. P. Kim Bui, the outlet’s new editor at large. 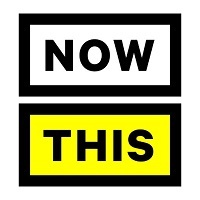 Before NowThis, she was managing editor at First Look Media and an adjunct professor at University of Southern California. Matt McDonough, the new executive producer, who previously senior director of digital strategy and fan engagement at MTV.